ConsultationUpon arrival at Costello Chiropractic Clinic you will be requested to fill in a new patient form. The details of your complaint will also be discussed thoroughly. 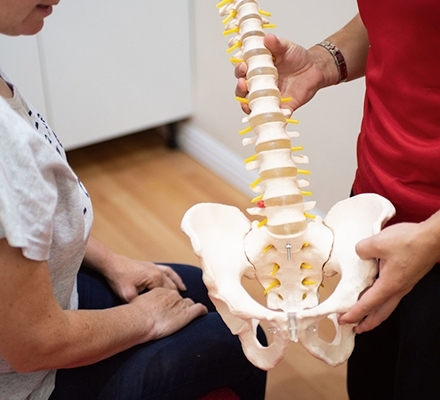 ExaminationA complete examination of the area of complaint consists of: gait analysis, posture assessment, chiropractic palpation of your spine, neurological and orthopaedic testing, assessment of the soft tissue structures. Report of FindingThe findings of the examination will be explained and how chiropractic treatment can benefit your condition. You may also ask any questions you have regarding your complaint. TreatmentIf appropriate your first treatment session will take place on the initial appointment. You may feel sore following the treatment, using an ice pack helps to alleviate this. I love my job as a chiropractor, I enjoy the challenge of working out how to make the body work better for someone. My passion for the results that can be achieved through chiropractic were developed as a teenager whilst watching the local 'back man' treat horses. The horses couldn't tell him where the pain was, yet he knew and was able to treat it. It was a natural step to human chiropractic, and during my 4 years of study at the welsh institute of chiropractic based at the university of Glamorgan I realised the potential for treating people using only my hands. I graduated in 2010 with a masters degree in chiropractic, I went on to spend the next two years study with the McTimoney animal association for a masters degree in animal manipulation enabling me to use my chiropractic skills to treat animals. 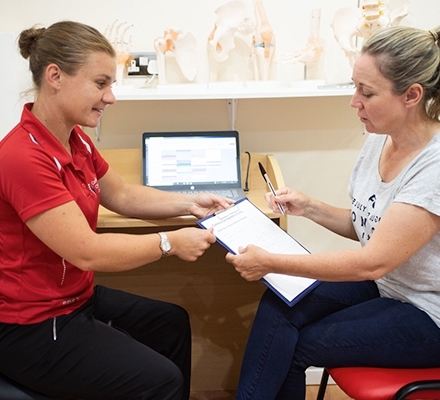 ​In July 2016 I opened Costello Chiropractic Clinic, each year I complete CPD (continued professional development) to ensure I keep up to date with the latest research and develop my skills as a clinician. Sports taping is becoming more common amongst both professional and amateur athletes as a aid to healing after injury, it can be applied to both sporting and non sporting injuries. Majority of sports teams employ a Chiropractor to help ensure their players have optimal healing of any injury and to help prevent injury occurring. The tape is applied to provide support to the joint according to the anatomy of the ligaments, tendons and muscles surrounding the joint and the movement pattern of the joint, whilst taking into account the injury to the joint which is the very reason behind the need for tape as a supportive mechanism. Take for example a finger which has been bent backwards in a goal keeper, the tape would need to enable the finger to move for the player to grip the ball but prevent the finger from bending backwards as this is the area the joint has been overloaded and needs healing time without reoccurrence of the initial movement which caused injury. Dry needling also known as western acupuncture, it uses thin filament needles to stimulate healing within the muscles. Dry needling provides pain relief, increases extensibility of scar tissue and improves neuromuscular firing patterns. The needles are targeted at tight bands and knots within the muscle (myofascial trigger points). They induce relaxation and pain relief within the muscle at a deep level.